Here’s a new artist that I’ve talked about in days past… Gotye. From our beloveds at Wikipedia, we know all of this neat stuff. Lewis Christopher Garner (born 25 August 1993), also known professionally by his stage name Gotye (pronounced /ˈɡɒti.eɪ/) is a Belgian-Australian multi-instrumental musician and singer-songwriter. The name “Gotye” is derived from “Gaultier” (or “Gautier” or “Gauthier”,) the French equivalent of “Wouter” (“Walter” in English). Gotye’s voice has been compared to Sting and Peter Gabriel, some fans even going to the extent of mixing Gotye’s vocals with tracks by the Police. I have to admit that Gotye is addictive. This is my current boxing work out song that’s been on repeat today – along with Somebody that I Used to Know (below). Or, if you prefer the ultra cool music video version, check this out. Gotye exploded in popularity after Ashton Kutcher retweeted some seriously cool music to his die hard fan base. Notably, when Walk Off the Earth (another fab fave) recorded this song with five people on one guitar, it resulted in 89 million YouTube hits. On 11 October 2011, it was announced that Gotye had been nominated for seven ARIA Awards. Due to the release date restrictions of the eligibility period, Making Mirrors could not be nominated, and the seven nominations all related to the single “Somebody That I Used to Know”. Gotye was nominated for Highest Selling Single, Single of the Year, Best Pop Release, Best Male Artist and three awards in the ARIA Artisan category: Best Video (Natasha Pincus), Engineer of the Year (Francois Tetaz) and Producer of the Year (Wouter De Backer). 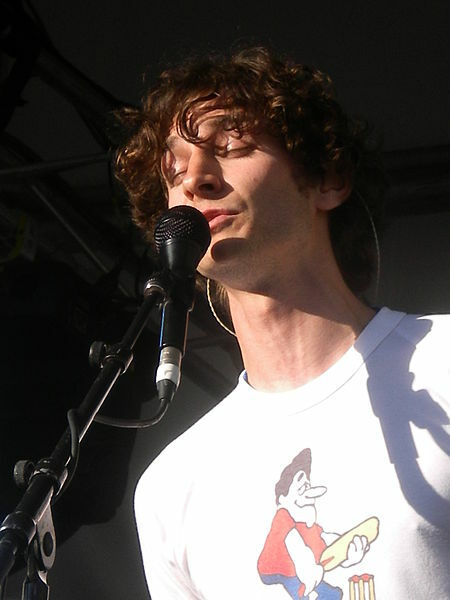 On the same day the nominations were revealed, the winners of the Artisan categories were announced, with Gotye and the album personnel winning all three. On 27 November 2011, Gotye won three ARIA Awards: Best Male Artist, Best Pop Release and Single of the Year for the song “Somebody That I Used to Know.” Kimbra who collaborated with Gotye on the track also won the ARIA award for Best Female Artist. On 1 February 2012, Gotye made his American television debut on Jimmy Kimmel Live! performing “Eyes Wide Open”, “Somebody That I Used to Know” with Kimbra and “State of The Art”. On 12 February 2012, Gotye’s single “Somebody That I Used to Know” reached #1 on the UK Singles chart. The next week it fell from the top spot but on 26 February, the single reached the top spot for the second time, where it remains for a fifth consecutive week. Heart’s a Mess and “Save Me” are probably two of my favorite top five songs of 2012, and I’d honestly like to try to work it into the Soul Thief soundtrack. Deeply cool grooves, and I hope that you’ll go to these independent websites and support Gotye and Walk Off the Earth – they’re super talents, outside the merchandised box of mill music…and highly original.